While all the Republicans from Texas backed U.S. House Speaker Paul Ryan, some were more comfortable than others with a surprise plan to gut the chambers' ethics office, making for a raucous first day of the new Congress. WASHINGTON — With the backing of congressional Texans, U.S. House Speaker Paul Ryan and Minority Leader Nancy Pelosi easily coasted to re-election as the top-ranking members of their parties in the U.S. House on the first day of the 115th Congress. But it was not a day lacking in drama. House Republicans unleashed outrage from the opposition party and watchdog groups when they moved in a Monday night secret vote to gut an investigative arm of the U.S. House, the Office of Congressional Ethics. President-elect Donald Trump also questioned the timing of the move in a tweet Tuesday morning. Apparently caught off guard by the level of pushback, House GOP members abruptly met just prior to the House swearing-in ceremony to unwind that move, leaving the office intact. Among members of Congress, the OCE is a highly controversial institution, an investigative body separate from the House Ethics Committee, which is made up of House members. House leaders created the OCE in 2008 after a number of scandals rocked Congress in the mid-2000s. The complaints then, and now, were that the House Ethics Committee is a weak oversight body and that its members are reluctant to earnestly pursue the transgressions of their colleagues. Yet the OCE's actions on various ethical issues have angered members of both parties, raising questions that the office was using its power to embarrass representatives over alleged transgressions. Most of the Texas GOP members' offices were not immediately responsive to a Tribune request on where each fell on the matter at Monday night's secret vote. U.S. Rep. Bill Flores, a Bryan Republican, backed the OCE revamp and described the office as "a creation of Nancy Pelosi" that "wasn't structured correctly." U.S. Rep. Michael Burgess, R-Lewisville, voted against gutting the OCE, according to a spokeswoman. 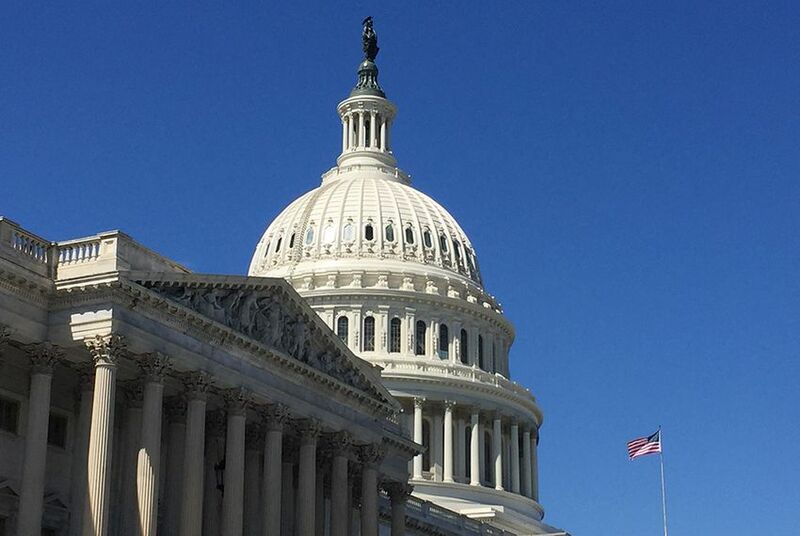 The office of U.S. Rep. Mac Thornberry of Clarendon, the House Armed Services Committee chairman, tweeted Tuesday afternoon that he preferred to mend the OCE, not kill it. “Mac believes that OCE is in need of reform, but that was not the proper way to go about it. He voted against,” his office account tweeted. U.S. Rep. Blake Farenthold, R-Corpus Christi, was the subject of an OCE investigation after his former communications director, Lauren Greene, filed a lawsuit in 2014 alleging that he sexually harassed and discriminated against her. Farenthold denied the allegations, and a 2015 OCE report found no "substantial reason to believe" that he "engaged in an effort to intimidate, take reprisal against, or discriminate against" Greene. Farenthold supported the OCE revamp Monday night but also backed the move to unwind it on Tuesday, according to a spokeswoman. "He supports needed reforms to the OCE and supported the amendment, but he does not support doing away with the OCE as the media is claiming and also feels there are other more important legislative issues to be tackling right now," spokeswoman Elizabeth Peace wrote in an email. "He supports, and always has, due process." House Democrats watched in amused amazement as Republicans dealt with a public relations mess on a day that otherwise burnished GOP power in Washington. Flores said the morning blowback had the potential to bring down a larger package of rules to guide Congress over the next two years. "There was a lot of outside pressure, based on that headline — the headline was incorrect, so anyway, some of our members got spooked about what was in the headline versus what was actually in the reform package," he said. Later on Tuesday, the House passed that larger rules package that excluded the OCE measure. Soon after passage, a succession of Texas Republicans released statements indicating a distaste for the Monday vote. "I am encouraged by my colleagues' decision to pull the OCE amendment out of the House Republican package today," U.S. Rep. Michael McCaul of Austin said in a statement. "I strongly believe members of Congress must maintain strong ethical accountability." U.S. Rep. John Carter of Round Rock said in a news release that he opposed the measure but did want eventual changes to the OCE. "I opposed the [OCE] amendment during our Republican Conference meeting, but it was approved above my objections," he stated. "I am happy to announce that earlier today my colleagues agreed with my concerns, and House Republicans removed the amendment from the rules package." U.S. Rep. Lamar Smith of San Antonio did not overtly indicate that he opposed the Monday measure, but he did state, "We should be held to the highest ethical standard as we represent the American people in Congress." Despite that drama, Tuesday's vote for speaker was one of the calmest in several terms, with all Texas Republicans voting for Ryan and all Texas Democrats backing Pelosi. Both leaders had faced serious intra-party threats in recent months. U.S. Rep. Louie Gohmert, a Tyler Republican, was expected to be the wildest card in the Texas delegation related to the Speaker vote. In 2015, he challenged former Speaker John Boehner for the speakership. But on Tuesday, even Gohmert fell in line behind Ryan. Gohmert said in a statement that he had "two private discussions" with Ryan and the two men "came to an understanding on three specific issues." Per Gohmert, Ryan "agreed leadership would bring no bills to the House floor without the support of a majority of the Republican conference," a measure that will mitigate Democratic power. On immigration, Gohmert said Ryan agreed that no bills would be brought forth in an attempt to legalize anyone in this country who is here illegally unless and until we achieve complete border security with a wall built to President Trump’s liking." Ryan was a strong advocate for the TPP in the previous Congress. But the election of Trump, who strongly criticized the deal, effectively killed it. Amid all of this, the primary task of the day came in the early afternoon: the biennial swearing-in ceremony. Amid a House chamber packed with members and their children, the 36 members of the Texas delegation were sworn in for another two-year term. The delegation added two members: Republican Jodey Arrington of Lubbock and Democrat Vicente Gonzalez of McAllen. President-elect Donald Trump's recent tweets about the F-35 airplane have Fort Worth's congressional delegation on edge. None of the 38 Texans in Congress offered a full-throated endorsement of a complete border wall, a position popular with President-elect Donald Trump's supporters, a Texas Tribune delegation-wide survey found.